More and more states are requiring the completion of a driver's education course in order to obtain a learner's permit or driver's license. The good news is you have plenty of options to choose from to fulfill these requirements. To help you make a decision on which type of driver's education course best suits your needs, below are the pros and cons of each of your options. For state-specific details about regulations and requirements, please visit our Driver's Education section and choose your state. The most traditional of the options, classroom instruction requires students to attend classes in person for a specified number of hours (requirements vary according to your state). In-car instruction is usually included as part of the curriculum. One-on-one face time with professional driving instructors. Curriculum that's often more interactive. Asking questions and participating in discussions plays an important role in classroom instruction. Personal interaction with instructors and peers. Taking the course through your local high school. Some school districts offer driver's education classes as part of high school curriculum. These classes may also be offered during summer school. You will often be required to show up at scheduled class times. Missing classes may result in having to retake the entire course. This can be a problem for students living in rural areas. Costs for classes may be more expensive. This is especially true for private classes not offered through high schools. Less flexible learning format and pacing. For students who need more time to study, or have busy schedules, an online option may be better for its self-pacing feature. The convenience of technology has made online driver's education courses a popular option in recent years. With this option, students will read through the material and complete the course activities and tests on a personal computer, tablet, or even smartphone. Features differ depending on which online course you choose. Below are some general qualities of typical online Driver's Ed courses. Not all students learn the same way. Instead of learning at the pace of your instructor, online classes generally let you move from topic to topic at your own pace and go back to sections that you might not understand. You can study at home whenever you have the time. Busy school schedules can make other options harder to manage. For some students, classroom settings are distracting. An online course allows for full concentration. Since you complete the course at your own pace, a few weeks of instruction can sometimes turn into months because of procrastination. With online schooling, the onus will be on you to learn the material. Skipping through the sections without reading will make passing the written test more difficult and make you less safe out on the road. Some courses include timed sections, designed to keep you from moving through the material too quickly and alleviating this issue. Driving instruction may not be included. With some online classes, in-car instruction may not be part of the curriculum. This means you will need to schedule separate in-car driving lessons if your state requires them. Lack of interaction with an instructor is sometimes more difficult. Not being able to raise your hand when you have a question is a drawback of online courses. In a select few states, students can opt for parent-taught driver's education courses. In this format, students take an online course in conjunction with the parent-taught in-car lessons. 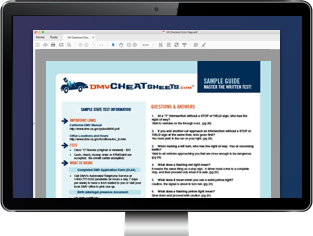 Check with your state's DMV to see if these courses fulfill the driver's education requirements in your area. You'll be able to work out your schedule with your parents. The course is usually self-paced. Parents are often more familiar with their child's learning habits and stress levels. Asking a parent a question or for further instruction can sometimes be easier than dealing with a stranger. You'll also complete the behind-the-wheel instruction in a familiar vehicle, which can help you feel more comfortable on the road. Learning depends on the driving knowledge of your parent. Just because your parent may have had a driver's license for many years doesn't necessarily mean he or she has a complete knowledge of the changing rules of the road, or is even an exemplary driver (sorry, Mom and Dad!). A parent's schedule may be inflexible. Depending on how busy your parent's daily schedule is, it may be difficult to find the time needed for proper teaching. Picking up your parent's bad habits. Often adult drivers pick up bad habits from their years behind the wheel. When being instructed by a parent, the student may learn some of these bad habits unknowingly. On the flip side of being comfortable learning from your parent, sometimes it's easy to take frustrations out on someone you're close to, or simply not listen to them. Some students find it better to learn from a stranger, with whom the boundaries are more rigid.